I have a song in my head. Its repetitive tune drowns out the coherent thoughts that are losing the battle. The driving beat sends my feet faster along the path, the one I swore never to take. I shut out the voice that’s scared, I won’t listen to fear, it has never served me. I only want to be alone. The sun dies as I head deeper into the woods. Dead branches cast shadows on the ground like veins, exposed and vulnerable. Darkness takes over, spreading through the forest, through me. Quiet descends, chasing away the life. They know too. When I reach the stream, I stop. Blood courses through me. It thumps in my ears. My fingertips tingle with its force. I am here, in this place, ready. I close my eyes and feel her nearby. Her spindly fingers reach for me like the tips of bare branches. They brush my shoulder, play with my hair, kiss my cheek. The rush is over, my patience has been rewarded. I stand very still, letting the shadows invade me. The train screeched along the tracks through the narrow tunnel. Headlights beamed across the grey walls of the station. I took tentative steps across the platform, clenching my fists the way I always do. I walked through the crowd of passengers, my hollow form invisible to them. No one noticed me that day either, not until the train’s brakes screamed in alarm. My toes curled over the edge. The billboard was gone but its ghostly imprint lay on the dusty tiles across the tracks. Its message was still clear in my mind, with pink hearts and curly lettering. To most it had been harmless and frivolous without the taunting undertones that screamed to me. Rumbling echoes grew louder. I leaned forward but the moment was never right, not like it was that first time. There were no frantic brakes or horrified screams, just a reminder that since that day when everything changed, some things stayed the same. For all of you who are getting “lost” in your stories this NaNoWriMo, here is a little something for you. My scene wasn’t done. My character was still lost in the forest. I shifted in my chair and forced my fingers to tap along the keys, focusing on the clicking sound to keep me awake in the dark room. My eyes wanted to squint against the cruel glare of my laptop but I forced them open, just a little more. I needed another cup of coffee. I reached over to grab the mug off the table beside me. Half a cup of cold coffee. Good enough. I gulped it down. Caffeine was caffeine. Besides, making a fresh cup would take precious minutes away from finishing the scene. Meg’s legs carried her through the forest. It was getting cold. I wrapped myself tighter in the blanket, lifting my icy feet and burying them in the soft fleece. I slurped the last drop of cold coffee from the bottom of my mug and kept typing. Meg was losing hope. A brisk wind blew hair into my face. I reached up to sweep it away as disturbed leaves rustled around me. I spun around, hearing the snapping of twigs under my feet. Prickling spikes reached for me, taunted me as I raced through the branches, my vision blurred with confusion. The forest was quiet. The night was dark. Like Meg, I was lost. I had to find a way back. Pinching my arm didn’t work. Screaming didn’t work. I ran. Out into the clearing I tumbled, tripping and falling onto the soft moss. The night shone down on me, not with the brilliance of stars but with electronic luminescence. Words scrolled across the sky. My words. I reached up, the distance to the screen not deterring my attempt to reach the only trace of where I belonged. My scream filled the empty forest as a hand appeared up above, visible through the screen in the sky. His voice, calling for me, echoed off the trees, so distant. A click, a shutdown box flashed across the screen. 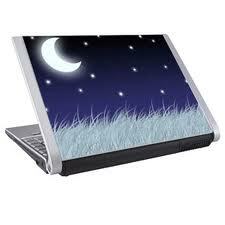 I screamed a futile protest as the laptop went black, leaving me alone with the dim stars, forever lost in my forest. They start calling my name as the lights dim. The others run up the stairs ahead of me. Their appearance triggers the familiar chant and flood of lights. It’s a ritual that repeats itself, punctuating my life, night after night. An outstretched hand slaps me on the back as I step onto the stairs and force my reluctant legs to carry me into the spotlight. The noise erupts as the band starts up. The bouncing bodies and waving hands are anonymous until the floodlights reveal their faces. I scan the front row. Night after night they all look the same. Wide eyed with expectation and admiration, they shout out to me, indistinct and meaningless. With the first chords of the guitar, darkness swallows them whole again, leaving me with the brutal allusion that I’m alone on stage with the music. I grab the microphone and yell out the words the way they like. Erupting screams compete with a chorus of voices singing lyrics. I close my eyes to focus on the night I wrote that song, the night the words meant something, before they were claimed by the voices of thousands. As their song comes to an end, I ease my eyes open to face the crowd. With a mental swift kick, I remind myself that this is the wish of every dreamer with a guitar. I had a good thing. If only I hadn’t lost the music along the way. The tray of empty glasses wobbled on my outstretched hand as I came to a stop. My eyes focused on table ten, knowing who I’d find. Breath stalled in my chest for a moment while I studied his face from across the room. His hair was longer than I’d remembered. Strands drifted across his face, hiding the eyes that could persuade me. No. That was then. I forced my mind to recall the last time I’d seen him, the night I’d decided I wasn’t like him. Table four flagged me down. They wanted a dessert menu. I nodded and turned. One dessert menu was all that stood between me and taking orders at table ten. The heels of my shoes were loud and heavy against the concrete floor despite the Saturday buzz all around. The bartender mumbled something as I slid the tray towards him, glasses clinking. Leaning over the counter to get the menus, I glanced up, looked at him from across the darkened room. All possibility that he’d wandered in without knowing I worked there disappeared when he lifted his eyes to meet mine. The curve of his mouth was barely visible from a distance but the glint in his eye as he held my gaze confirmed the worst: he had no intention of letting me go. I stood tall, remembering that I was stronger than he thought. I tugged at my short skirt and shoved the notepad deep into my apron pocket. I was not taking his order. I strode between the tables, my eyes trained on him, determined not to give away the rising self-doubt. “You’re wasting your time here,” I said, leaning forward, my hands resting on the table. He turned towards me, chin in his hand, eyeing me with those cold eyes I’d come to hate, even when I saw them in my own reflection. I pulled my hand away from his. The smell of fresh kill on his breath repelled me backwards. That scent of death triggered my mind to replay images from my memory I needed to forget. I turned on my heels. The cackle of his laughter taunted me from behind. My hands went to my gut, urging the appetite to recede. Instead, it pulled at me, digging deeper. I heard the rush of blood. Not mine. Reason fought with need as I rushed past the bar, away from the crowds. I tugged at the apron strings and flung aside the costume of the life I’d tried to adopt. My hands braced my head, squeezing, forcing out the anger, knowing that once it started, it would take over and reverse the gains I’d made. Rage pulsed through me, driving its way to the surface, bubbling like a chemistry experiment gone wrong. I needed out. I was running by the time I got to the kitchen. I sped past the steaming pots. Pushing past the kitchen staff, I gagged on the sweaty smell of their mortality, a threat to my resolve. I kicked open the back door and barrelled into the darkness. Moisture from the misty rain glistened in the light from the street lamps but the cool air didn’t appease the craving. The bang of the door swinging shut echoed in the distance behind me as I ran. Up ahead in the alley stood a figure. A police officer, his flashlight trained on me, a look of concern on his face. Was I okay, he asked. I wanted to tell him to run, but it was too late to escape me. He stepped closer, telling me this wasn’t a good place to be at night. He was right. I fought the rising urge, the temptation closing in. I tried to swallow the hunger within but there was no escape from who I was. As I lunged, I heard the laughter from table ten drifting from somewhere in the shadows, arrogant and mocking. Like an addict, I vowed that would be the last time. I tried to convince myself that the victim who lay crumpled at my feet wasn’t a good man, that he wouldn’t be missed. In the tear that I wiped from my face, I felt the hope I needed, the strength of my conscience. I could not give up. I would go back, find that apron and begin again. She watched her mobile phone disappear as she pushed the drawer closed. Mike thought it was funny that she’d want to take it with. She knew that there wouldn’t be any mobile coverage there but it was still hard to leave it behind. She stared at the drawer, forcing herself to embrace the spirit of camping, to be separated from the trappings of civilization, absorbed in the wilds, reminded of how vulnerable we could be. Mike honked from the driveway. Sarah spun to face the open front door. Locking the door behind her, she felt like she was forgetting something but she didn’t have much to bring. Mike had planned the whole trip. Camping was his thing. She slid into the passenger seat, pushing back the sleeping bag that invaded her space from the crammed back seat. She met Mike’s smile with one of her own until she landed on the sun-drenched leather seat and jumped up. Sarah rubbed her thigh, trying to erase the burning feeling. She met his teasing smile with a glare. She punched his arm and pretended that her fist didn’t hurt with the impact. The truth was she liked the teasing. She even liked his sarcasm now that she was getting used to it. It had only been a few months since they started dating but Mike was different from other guys she dated. Mike brushed loose blond strands from his face. If she let herself, she could stare at him the entire trip north. Instead, she tried to focus on the long straight road ahead, a single grey column glistening in the sun. Sarah sighed and settled into her seat. She was looking forward to being alone with Mike. His family. His friends. He was always so private. There was something about a campfire and a lake that could make people open up. That’s what Sarah was hoping for when she agreed to go camping for the first time. Mike turned the radio louder as the forest of trees got thicker. The last road stop was an hour ago. A faded sign up ahead was illegible until they got close enough to read its cracked painted letters. It seemed like they would never arrive at the camp site and Sarah shifted in her seat with relief that she was wrong. The Jeep followed the arrow left. Rebellious grass and weeds threatened to take over the narrow gravel path. Neglected tree branches scratched across the window as the car struggled to stay out of their reach. “This really is out of the way,” Sarah said, gripping the door handle. Mike grunted agreement as he pulled up to a shack. It was the check in office according to the sign on its roof. A light breeze teased the door as it swung on one hinge. Mike slammed the car door behind him. Through the dry grass, a lake was visible, lonely in its quiet solitude, the sun glistening on its glassy surface. Sarah tried to imagine families with children in its waters, canoes afloat on a perfect summer day. A single bird’s call in the distance made her wonder where they were. Sarah opened her window as the air in the car grew hotter. Suffocating. A whole week without air conditioning was ahead of her. A pinch on her arm reminded her that she forgot mosquito repellent. She knew she was forgetting something. She watched Mike climb the steps of the decrepit shed. He peered inside. Sarah could only see blackness beyond its dusty windows. Mike turned and shrugged, casting a shadow over his eyes as his hands shielded them from the sun. A thin smile crossed his face. The crackling gravel under the tires was the only sound as the car rolled along the shore line under a canopy of maples until they finally reached a clearing. Sarah opened the car door and stepped into a scene she’d only ever expected to see on the cover of tourism catalogues. Soft shade grass became mustard coloured sand as it reached the lake’s water. A lone loon drifted on the lake in the late afternoon sun, its lonely shadow rippled along the surface. Its call echoed off the line of trees that surrounded the scene on both sides. A smile slipped from Mike’s face as his eyes narrowed. “You’re so hard to please,” he said slowly. Sarah searched his eyes for the sarcasm that she expected to find. His hands tightened their grip on her hips. The loon’s call came from farther in the distance. Lonely. “Nevermind.” Mike released her and turned his back to walk to the Jeep. Sarah wrapped her arms around herself, protection against the sudden cold breeze. Sarah pretended to help but Mike did most of the work. He’d done it before and it showed. The poles slid through the slits like they knew where they were going. Mike swung his hammer at the pegs, driving them into the ground, trapping the tent where it stood. The sun was retreating behind the tree line as Sarah watched Mike at the campfire. He knew exactly where to put the logs. A match ignited the kindling with a flare, its spark like a warning to the wood, the threat of impending annihilation. Sarah stared at the setting sun. Living in the city with electric lights, she never noticed how quickly the sun disappeared. In what seemed like a moment, it escaped, throwing them and their lake into darkness. An orchestra of insects buzzed. The faraway rumble of an airplane reminded her that the two of them weren’t alone in the world. The flames fought amongst themselves within the ring of rough rocks. Erratic shadows crossed Mike’s face as he crouched by the fire. “You don’t have to believe it. Most people don’t. But that’s the fun of campfire stories.” Mike picked up a long stick at his feet and poked the logs. Angry sparks flew into the air, disappearing as they fell onto the dirt below. Discarding the stick, Mike dropped to his knees and crawled toward Sarah. With the light of the fire behind him, she couldn’t see his face, just the vague outline of his form inching closer. Sarah reached for the flashlight she knew was nearby. Her hands searched the ground at her feet. Dirt lodged in her fingernails and pine needles pricked her hands until finally Sarah’s fingers gripped hard plastic. Her thumb pressed the button. Light spilled onto his face, unrecognizable as the man she knew. His arm fell, hitting her hard across the head, throwing her still body into the dirt. The loon was gone. The insects buzzed louder. And somewhere far away a mobile phone rang in a drawer.